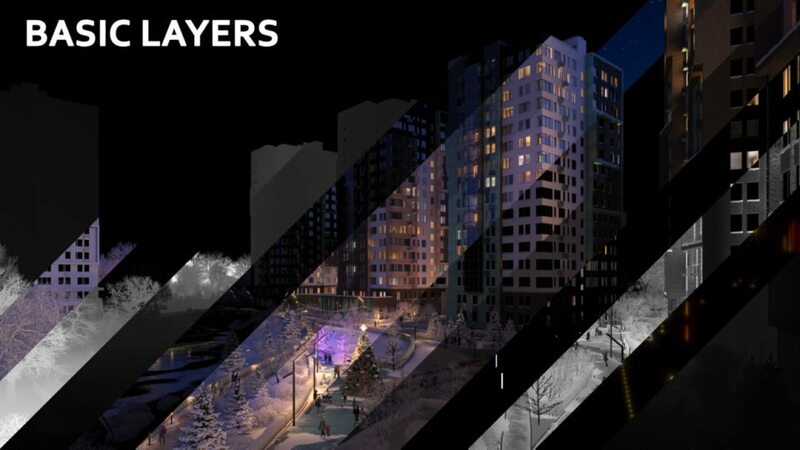 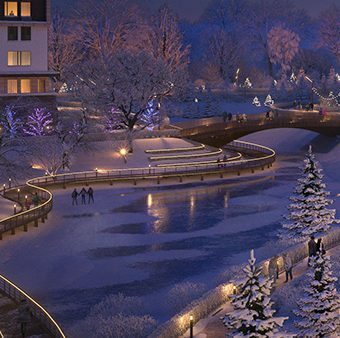 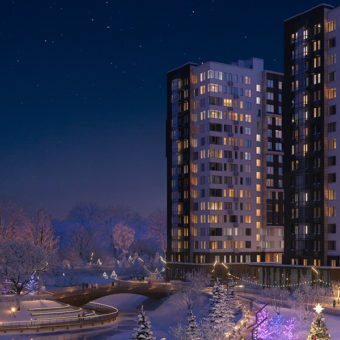 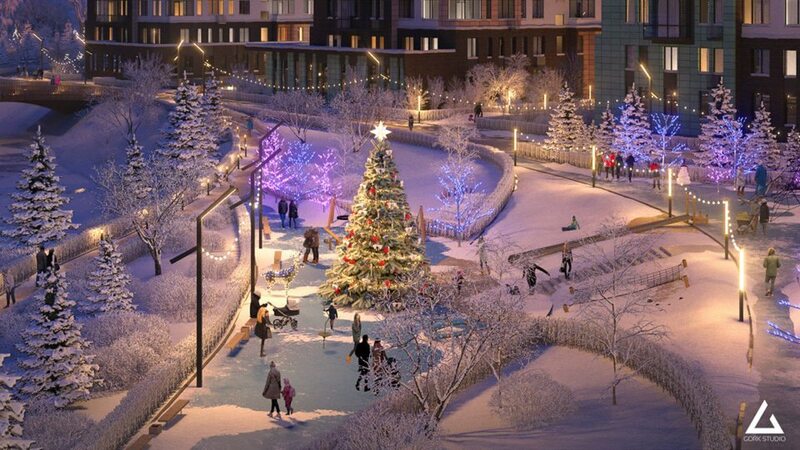 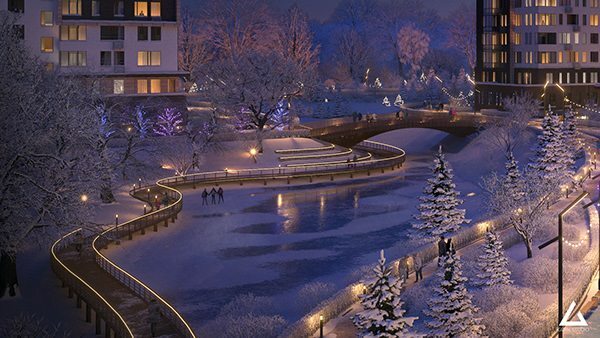 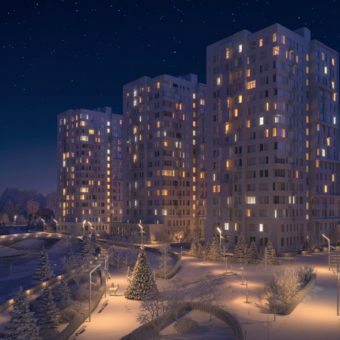 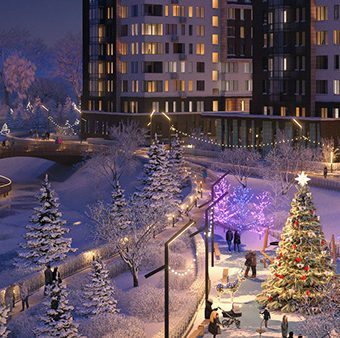 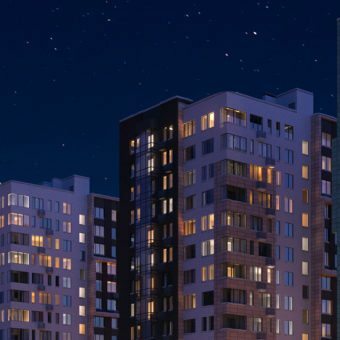 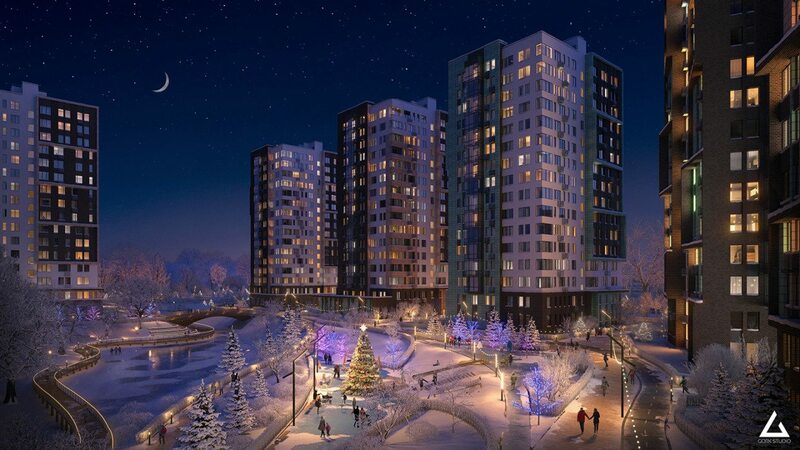 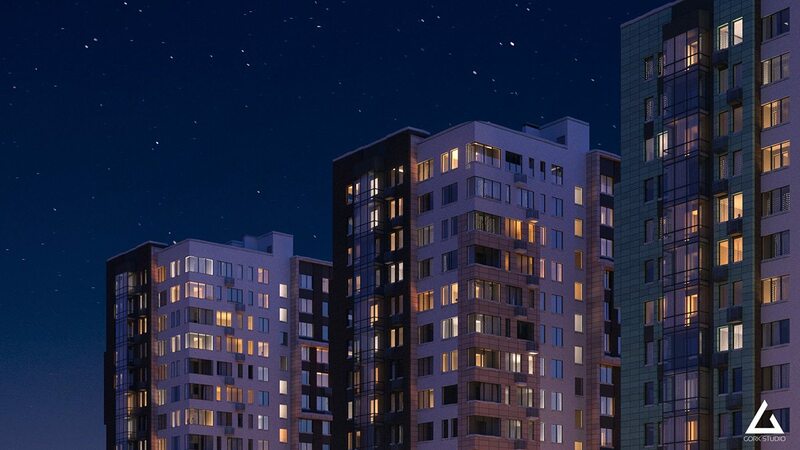 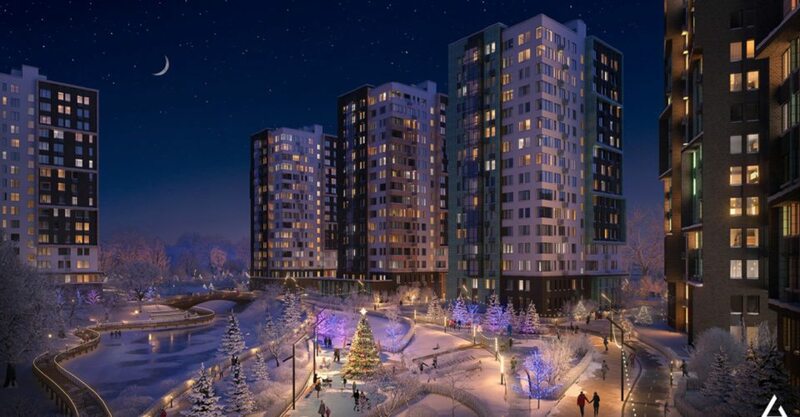 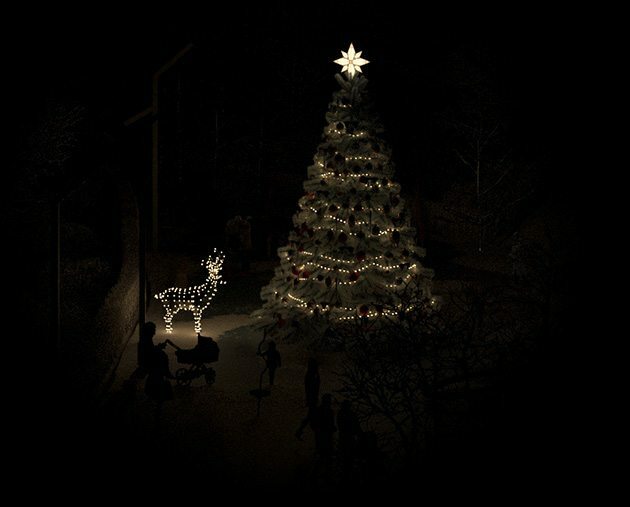 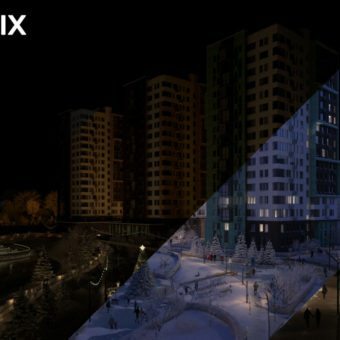 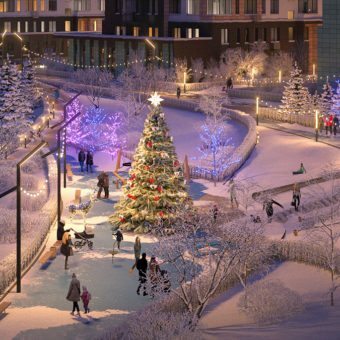 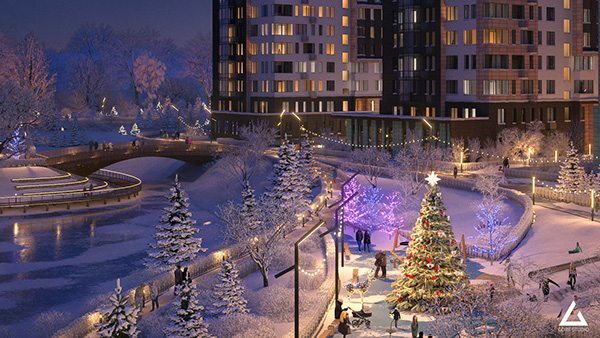 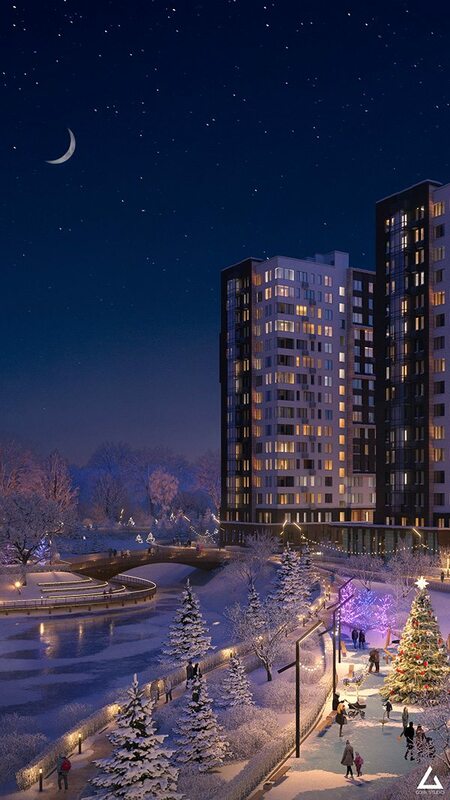 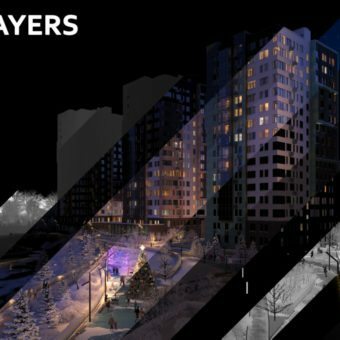 How to better promote a residential complex than in a Christmas Holidays scenary? 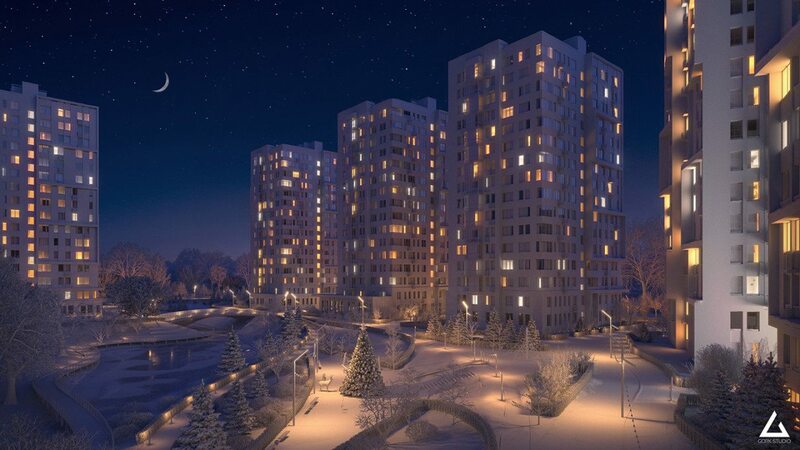 Those Russian 3D artists (Kirill Gorozhanin and David Arabyan) from Gork Studio made a beautiful 3D image for a project in Moscow. 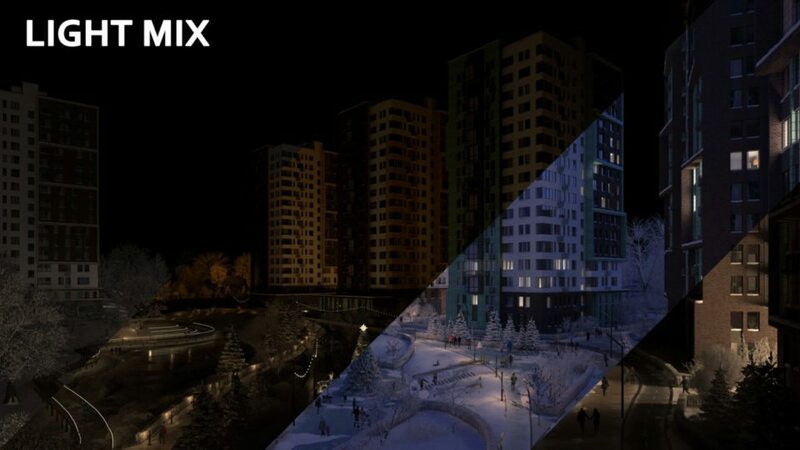 This night winter visualization makes me want to live there. 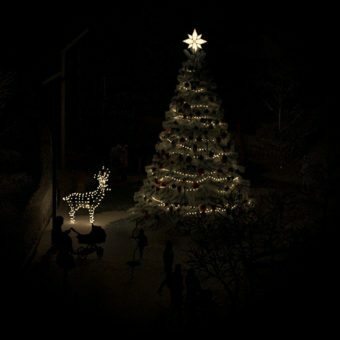 The Christmas mood is there with the activities and people who enjoy the moment.